The recent attacks in Paris evoke strong emotions for many people, but investors need to look through those feelings to the short, medium, and long-term implications. I believe Paris may mark an important turning point for Europe and the global business cycle… but for different reasons than you may think. The immediate impact on France’s economy will be minor and short-lived as long as it proves to be an isolated incident. There are significant downside risks to economic growth if terror attacks in Europe become the new normal. Europe’s Muslim population faces an unemployment rate around 50% compared to the EU average of 10% and xenophobia is rising after the Paris attacks. 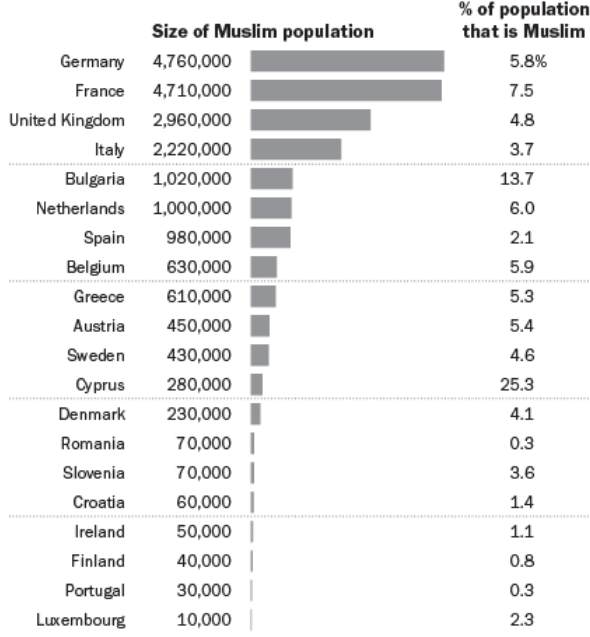 From that perspective, Europe is becoming a breeding ground for radical Islam. As refugees flock to Europe from Middle East, the foundations of modern Europe are breaking down. Walls, fences, and security checkpoints are going up all over the continent and countries are becoming more isolated from one another. While Angela Merkel’s leadership has proven invaluable in preserving the Euro Area over the last decade, her position on accepting refugees is incredibly unpopular in Germany and across Europe. 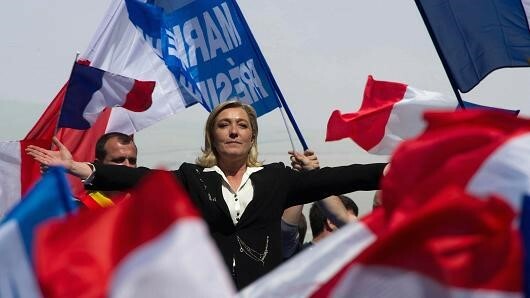 Her political weakness in the wake of the Paris attacks now puts the European establishment at greater risk just as anti-establishment parties are on the rise and a number of political crises are emerging in Spain, Portugal, and Greece. With no politically palatable option for restoring stability in Syria and Iraq, there is no end in sight for Europe’s refugee crisis. And if there is no end in sight for Europe’s refugee crisis, the xenophobic shift toward anti-establishment parties can only escalate from this point forward. 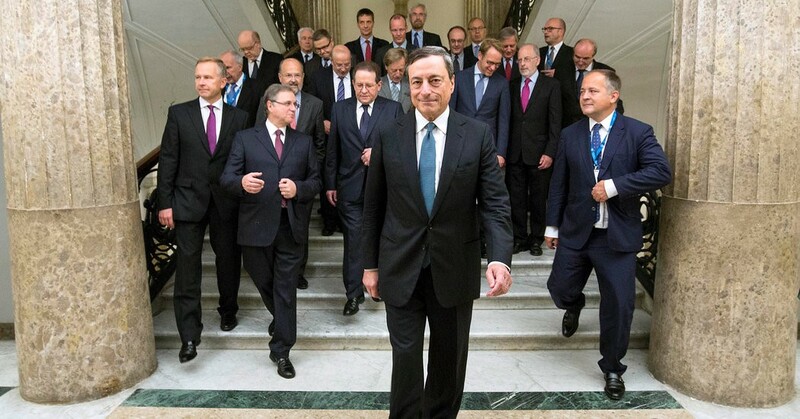 The European Central Bank has no choice but to extend and expand quantitative easing. This will weigh on the euro (likely bringing EUR/USD from $1.06 today to well below $0.90) at the same time the Federal Reserve is driving the US dollar higher. The main investment takeaway here is that more policy divergence is on the way between the United States and the rest of the world, meaning a stronger US dollar, lower commodity prices (although energy prices could spike on Middle East instability), and another wave of panic for emerging markets. It also means more pressure on Japan to follow suit in an escalating currency war and on China to allow a market-driven fall in its currency. There is a chance that the slow disintegration of Europe will drive more capital onto US shores, boosting valuations and fueling a blow-off top in the US equity market; but beware global shocks and take any rally as a chance to get defensive. 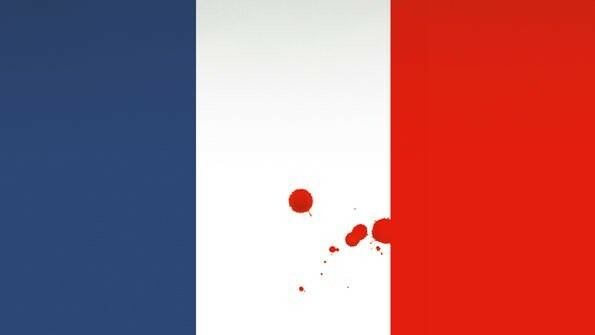 In the aftermath of the Paris attacks, most of the comments I’ve seen from journalists, politicians, and economists have been extremely emotional – and for good reason. 130 people are dead, more than 350 are wounded, and roughly 50 are still fighting for their lives after the worst terrorist attack in French history. 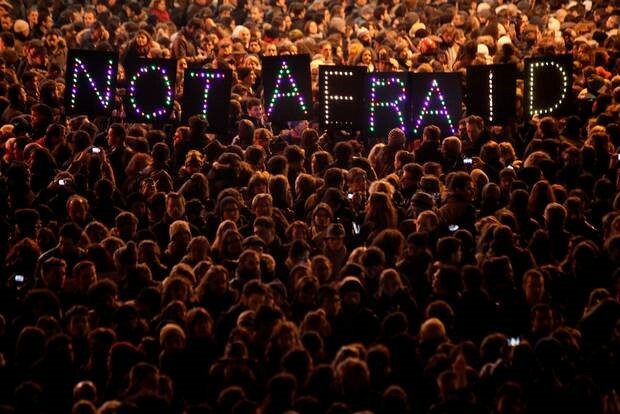 The tragedy in Paris brings back memories of the Charlie Hebdo murders in January 2015, the Mumbai attacks in 2008, the Madrid train bombing in 2004, and the attacks on New York and Washing-ton DC in 2001. These horrible, traumatic events still evoke sadness, fear, anger, and defiance among free people who refuse to bow to extremists like the Islamic State. At a time like this, it’s natural to get caught up in the moment… and yet, as an economist and an investment strategist, it’s my job to help you look past such emotions to start making sense of the chaos. I can’t offer you any special insight into the mind of Islamist fanatics or explain why bad things happen to good people. But I can help you start thinking about what these tragic events mean for the world economy and for your portfolio in the coming weeks, months, and years. For what it’s worth, I believe that we may look back on Paris as a major turning point for Europe and the global business cycle as a whole… but for different reasons than you may think. As Bloomberg’s Simon Kennedy explained last week, advanced economies often experience temporary slowdowns in the wake of terror attacks, but they tend to bounce back pretty quickly. In fact, studies have shown that the relationship between economic growth and isolated terrorist attacks is almost statistically insignificant in economies as large and diversified as France. Parisians will likely spend less for a while, opting for quiet dinners at home rather than raucous nights out on the Champs-Élysées. Tourists will cancel or delay their travel plans. Business people will opt for teleconferences over in-person meetings. Investment will slump and trade will stall as France tightens its border security, but probably not enough to alter the overall trend in economic growth. The one caveat is that the November 13 attack must prove to be an isolated incident. While advanced economies tend to bounce back relatively quickly from one-time terror events, research from the International Monetary Fund and Moody’s Investor Service shows that persistent violence can drag significantly on business and consumer sentiment while raising government borrowing costs. From that perspective, a clash of cultures and ideologies is the last thing that France – or the rest of Europe – needs as economic growth continues to stagnate and deflation looms large. And yet, further attacks are more than possible. With no meaningful economic improvement in sight, the spike in xenophobic sentiment that we are seeing in the wake of the Paris attacks is creating the ideal conditions for ISIS to engage angry, disenfranchised young people who feel like outsiders in their own societies… and that’s before we even consider the massive influx of Syrian and Iraqi refugees. 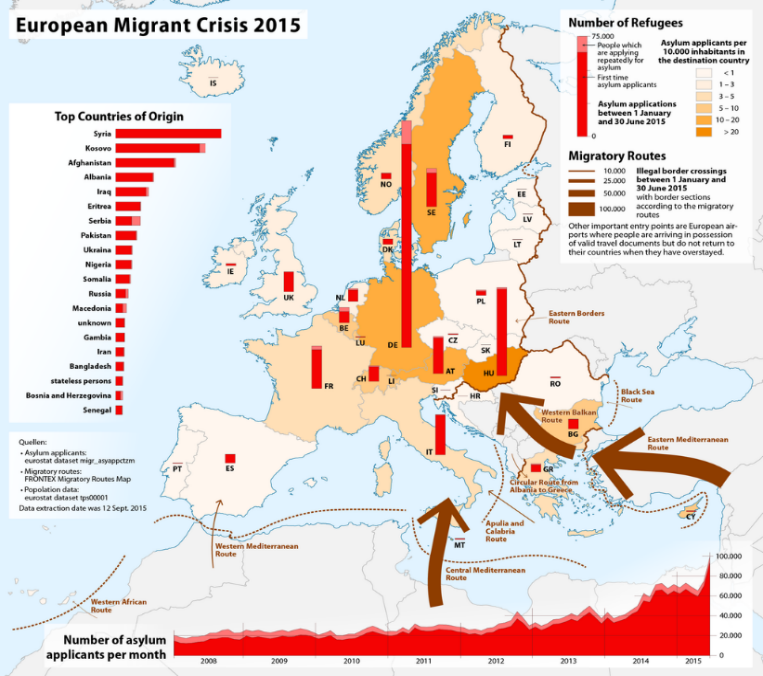 As geopolitical expert Ian Bremmer warned just days before the Paris attacks, Europe’s escalating refugee crisis is one of the greatest threats to global economic stability today. 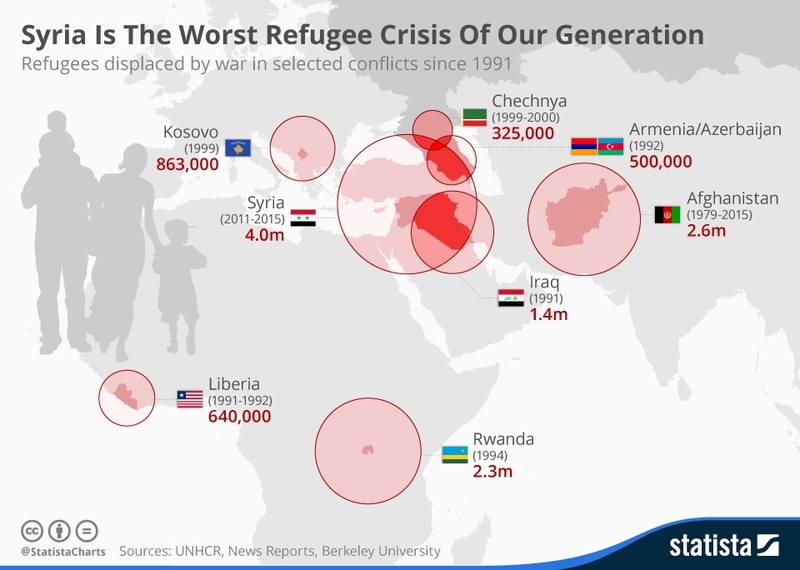 Out of roughly five million Syrian and Iraqi refugees, only 6% have arrived thus far. “A lot more are coming and the ability of the Europeans to integrate these people is virtually nil.” The risk, as Ian outlined it, is that it would be impossible to distinguish between people fleeing from terror and the terrorists themselves. Over the past year, calls for tighter border security have been getting louder as Arab asylum seekers poured into continental Europe. 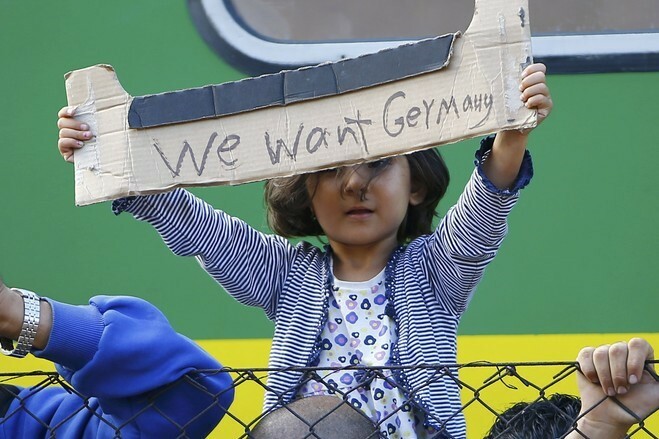 Even before the Paris attacks, countries like Poland, Hungary, Slovenia, Slovakia, the Netherlands, Austria, and Germany (which despite enforcing its borders is accepting 800,000 refugees a year) started to install precautionary walls, fences, and/or border checks in an attempt to stem (or at least regulate) the tide of Arab asylum-seekers. 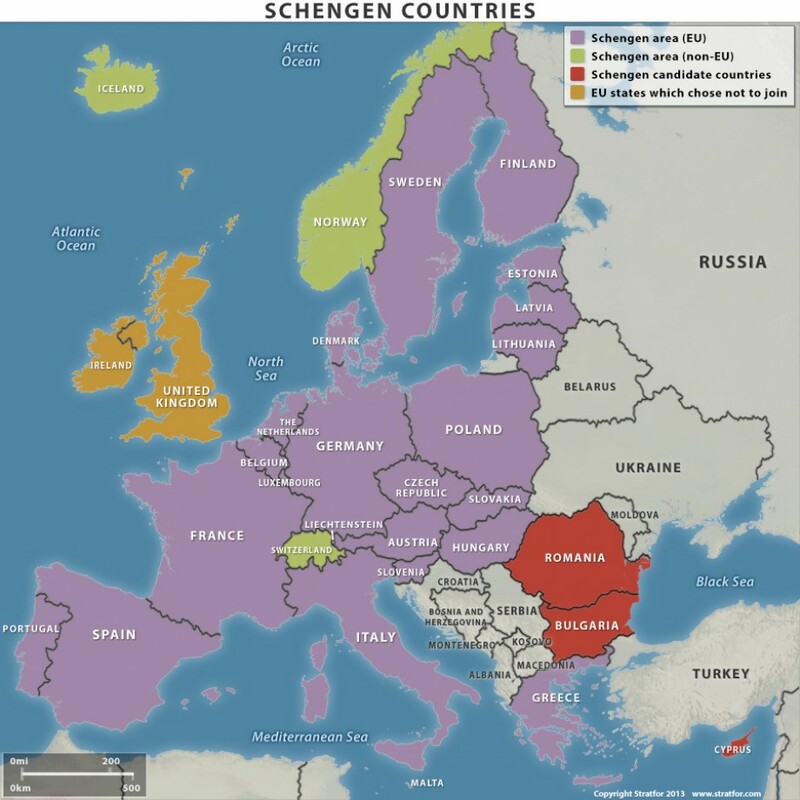 Heightened national security may not seem like a big deal to onlookers in America, but this marks a major breakdown in the 26 country “Schengen Area.” Aside from crippling the concept of European unity, it threatens to start re-imposing economic costs which had been painstakingly reduced over decades of continental integration. Just imagine what would happen to interstate trade if truck drivers and commuters had to pass through time-intensive security checks at every state line. After Paris, these fears of territorial disintegration are becoming even more real. Instead of allowing people and goods to move freely across Europe’s “internal borders,” passport and security checks are going up all over the continent. As we are now seeing in France, the odds of emergency border controls becoming permanent are uncomfortably high considering that the EU still has no way of securing its external borders. 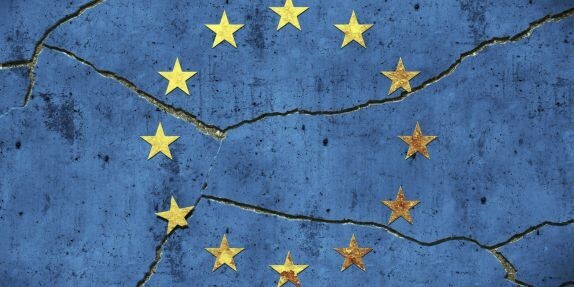 As Open Europe’s Raoul Ruparel notes, it’s an enormous blow to the European political establishment that could soon prompt voters to question the benefits of remaining in the Eurozone and/or the European Union at all. 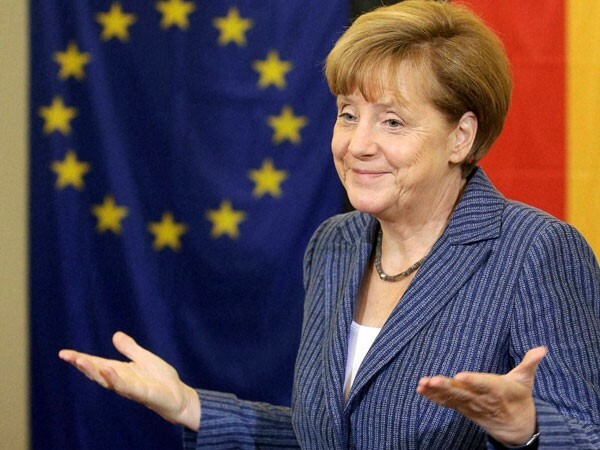 What’s more, Angela Merkel’s popularity is rapidly eroding – both in Germany and across Europe – which leaves the entire European experiment at great risk just as Marine Le Pen (France’s self-described Madame Frexit) and others like her are surging in the polls. The problem is that there can be no end in sight for Europe’s refugee crisis until ISIS is eliminated – along with Syria’s war criminal president, Bashar al-Assad – and some kind of stability is restored to the region. That’s a remarkably tall order for the economically weak and politically fragile European Union that cannot even manage to secure its continental borders… especially when pan-European public support is mixed on a bombing campaign, opposed to putting boots on the ground, and absolutely against a decades long effort to rebuild an Arab country while Eurozone countries are still crumbling. While it’s possible that Russia will supply a portion of the necessary ground troops, we also have to think that Mr. Putin’s goals in the region starkly contrast with those of his prospective European allies. With Russia now in a position where it needs to stir up geopolitical risk to support its energy sector at virtually any cost, Putin’s gain would likely be Europe’s loss on multiple fronts (i.e. higher energy prices and continued Middle East instability) instead of resolving the refugee crisis. Moreover, since ISIS controls the resource poor portion of Iraq, it’s unlikely that a specifically ISIS-targeted mission will lead to a spike in oil prices… suggesting that Russia’s entry into an anti-ISIS mission may just be an excuse to start a larger ground campaign in the Middle East alongside its main regional ally, Iran. Unfortunately, there really isn’t a silver lining here for Europe. 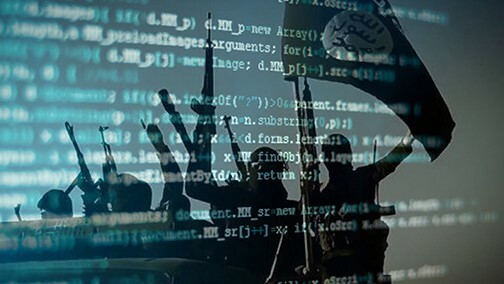 France, Russia, and the European Union can try to stamp out ISIS, but can’t subdue Islamic extremism without first restoring stability to the Middle East. Europe can accept more refugees, but at the cost of even higher unemployment among the unassimilated Muslim population and elevated risks of more jihadis radicalized from local and immigrant populations. The implications here are obvious, although uncomfortable to admit. With no politically palatable option for restoring stability to Syria and Iraq, there is no end in sight for Europe’s refugee crisis. And if there is no end in sight for Europe’s refugee crisis, the xenophobic shift within Europe toward anti-establishment parties can only escalate from this point forward. A united Europe has very little hope of addressing these challenges. A fragmented Europe has almost no chance. Both scenarios likely lead to crisis. As you may have already realized, Paris is something of a worst case scenario for the fragile 19 member Euro-area. Though Mario Draghi and his colleagues at the European Central Bank have held financial risks at bay since 2012 with theatrical commitments, negative interest rates, and monthly asset purchases, the politics of separation have continued to mature in countries with inadequate growth, high unemployment, and creditor-imposed fiscal austerity. Now, with inflation expectations at risk of breaking down, QE potentially set to expire in September 2016, credit risks starting to creep back into longer-dated government borrowing costs, and a series of potentially toxic political crises emerging in Spain, Portugal, and Greece, the central bank has no choice but to extend and expand its ongoing QE program. This will weigh heavily on the euro (likely bringing the EUR/USD from $1.06 today to well below $0.90) at the same time the Federal Reserve is driving the US dollar higher. The main investment takeaway here is that more policy divergence is on the way, meaning a stronger US dollar, lower commodity prices (although energy prices could spike on Middle East instability), and another wave of panic for emerging markets that are now collectively large enough to drag the global economy into recession. It also means more pressure on Japan to follow suit and on China to allow a market-driven fall in its currency. With Europe’s troubles escalating to not just one, but a series of potentially unmanageable crisis points in the next several years, the ECB will have to do “whatever it takes” and hope it can preserve the single currency area long enough for cooler heads to prevail. Perversely, that means we can expect a bit of a pick-up in European economic activity in the coming quarters – particularly in Germany which will benefit from a dramatically weaker euro – but don’t get too comfortable. 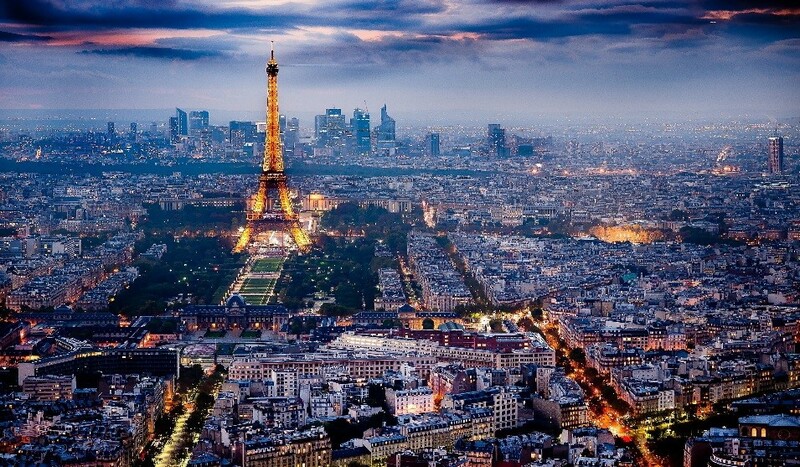 Paris is just a prologue to the real European crisis.